Today the racing world in the UK has received more bad news as four more horses have had positive tests for equine flu. There are so many great free bets on offer throughout the festival that it’s a time when I’d expect to make somewhere approaching £1,000 just from matched betting. Also as I’ve just started Betfair trading it is undoubtedly the best festival for that as the “Liquidity” in the market is huge! Look I know it is highly contagious and all that but horses don’t die from it and it’s not dangerous to humans so I think they are being overly cautious with all of this. 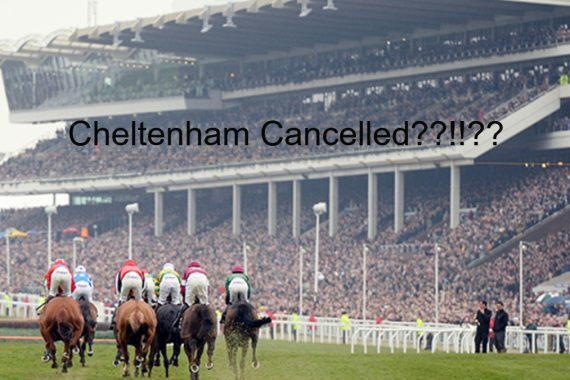 There are over a million horses and ponies in the UK but only 20,000 race horses. None of the other horses are being quarantined and vaccinated so I don’t see how you are ever going to totally stop it. Anyway lets’ hope it gets sorted ASAP, because even though I’m being selfish for the money it’s costing me, imagine what it’s doing to the entire horse racing industry in the UK?